Progressive engine builders must be responsive to the dynamic changes in the industry. With the latest model ring seating requirements and the diverse number of block configurations, the machinist needs the versatility offered by Rottler H Series honing machines. Cylinder finish is becoming a science as the demands continue to grow. Graphical representation of the cylinder finish, such as that displayed on an Abbott-Firestone Curve, provide a qualitative analysis of the characteristics of the surface finish. The Rk family of parameters directly portrays the surface characteristics over a given sampling length. 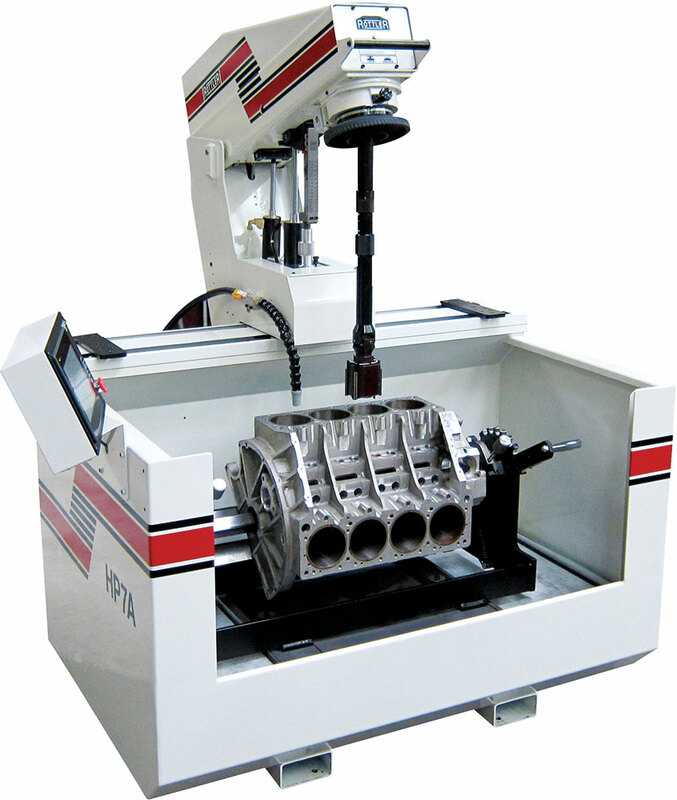 The HP7A is the first automated cylinder honing machine capable of operating under two automatic program modes. 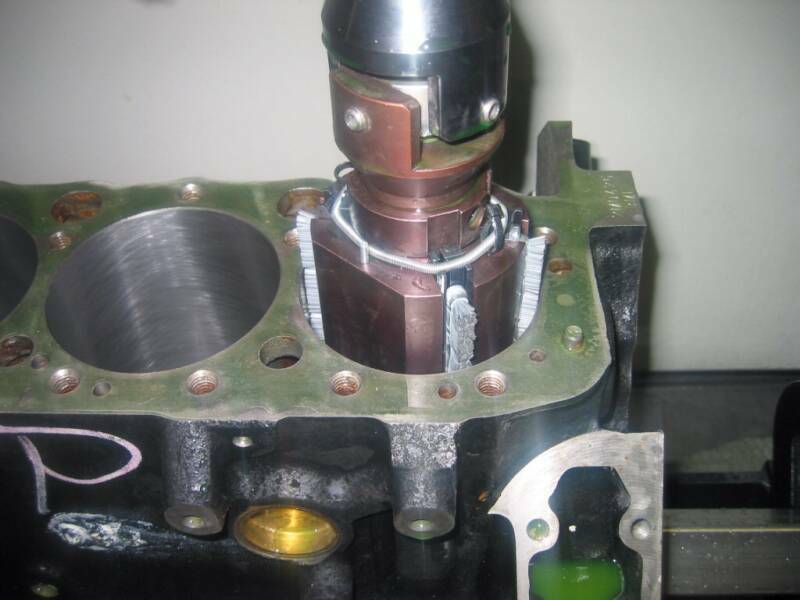 By setting the number of strokes per feed in conjunction with the total amount to be removed, the operator can hone a cylinder completely unattended. The feed rate can be adjusted anytime during the honing process. By setting the desired load pressure in conjunction with the total amount to be removed cylinders can be honed to size accurately, without the need for operator attendance. An industry first! In addition, under high speed automatic operation the machine adjusts to a desirable speed to properly finish the cylinder just before stopping. Enter the load into the computer and the machine automatically maintains this value while it finishes the cylinder. Setting the stroke is very efficient with the use of the upper and lower limit levers. The positive feed system on Rottler HP machine ensures controlled, precise expansion of the stones. Achieve the desired crosshatch efficiently. Stop anywhere in the cylinder. Feed settings can be adjusted even while the machine is running. Rottler's superior fixturing allows work pieces without main lines to be fixtures easily. Varying the spindle rpm is as easy as the turn of a dial... set your desired operating speed. Achieve unmatched accuracy and control with Rottler's Heavy Duty Precision Hone Head. This system not only maintains superior accuracy, but is also effective in aggressive stock removal. The Precision Hone Head was developed to provide excellent abrasive tool support and rigidity. 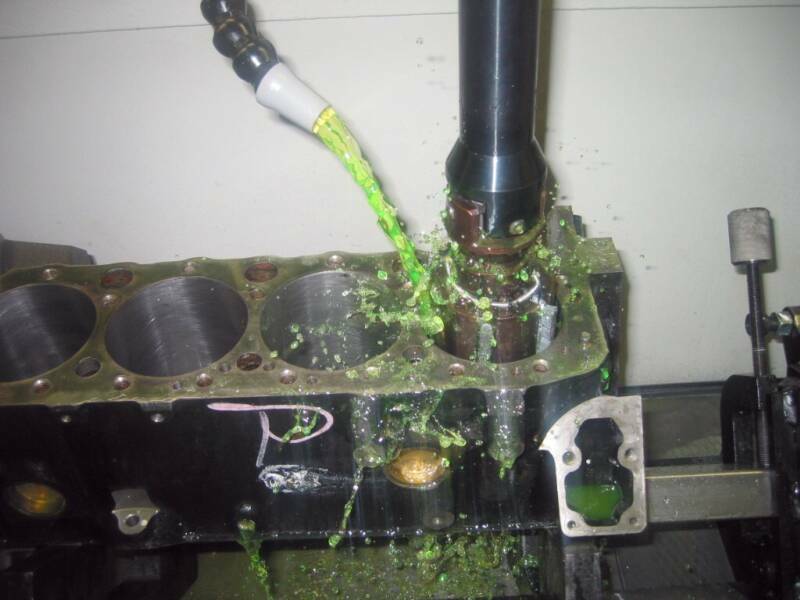 Coolant eliminates heat and distortion. Soft brush cycle completes the plateau honing process.